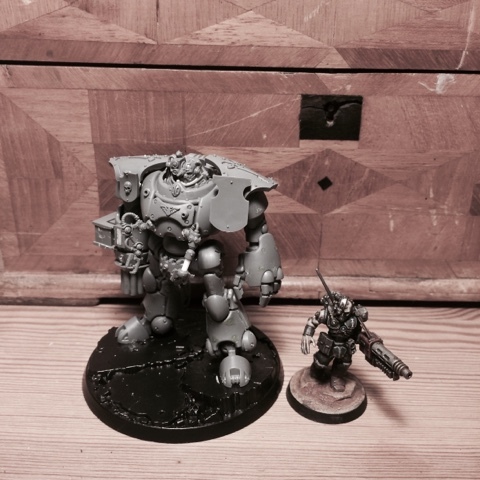 Work on the Jaeger class Heavy Assault Servitor is slowly, but steadily, progressing. I'm really starting to like this guy... The addition of knight thigh armour as shoulder pads gives him a different silhouette - closer to Jes's old colossus robot sketch. 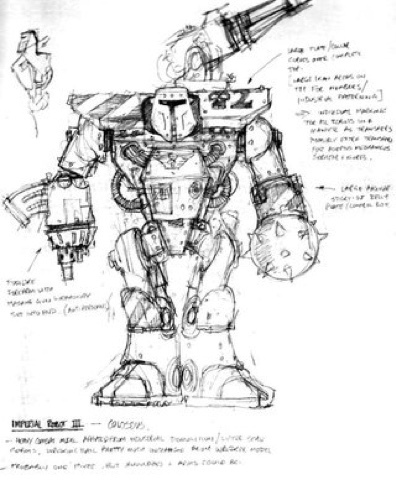 That was always my favourite 40k robot design. Awesome! I just want close ups! looks fantastic man! He's a big lad isn't he? Love it! You are a genius! I do think the knight part makes it exquisite. You've done the right thing. Hope to see more.